Heather Leopard: Daughters are flowers that are forever in bloom. 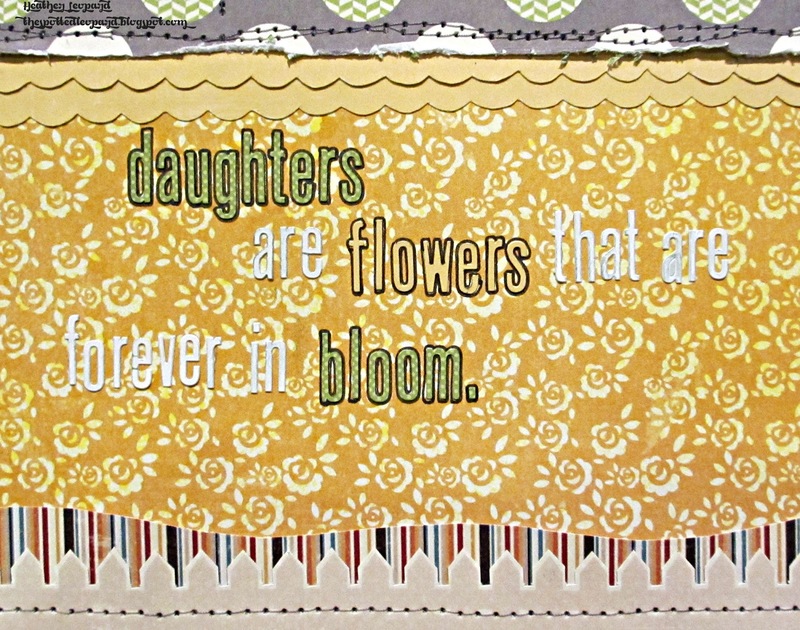 Daughters are flowers that are forever in bloom. Happy Friday! Today is extra special for me because it's my first post as a member of the Lily Bee design team. And we wanted to make it a fun Friday for you by doing a blog hop to introduce the new team. This week, the design team has been mixing and matching different collections - "Persnickety", "Autumn Spice" and "Christmas Cheer". In the spirit of carrying on with that theme, I created this layout of my youngest daughter. She definitely has 3 year old sass but she got the sweetest heart and I see her growing and blooming every day! Supplies: Lily Bee Design - Persnickety Collection: ritzy 12x12 paper, huffy 12x12 paper, Index Journaling cards, Mixed Stickers, ABC Stickers; Christmas Cheer collection - Mrs. Claus 12x12 paper, ABC Stickers; Autumn Spice collection - Spice vanilla 12x12 paper, Spice clove 12x12 paper, Spice nutmeg 12x12 paper, 6x6 Tiny Tablet, Mixed Stickers, Clear Stamps; My Mind's Eye Stella & Rose Hatty "Happy" Decorative Brads, Glue Arts Glue Glider Pro Adhesive. Photos by Allison Avenue Photography. I used my CAMEO to cut the sunflowers that are sprinkled throughout the layout in the visual triangle. I also used a journaling card in place of a photo, added the "i simply enjoy you" sticker, stamped 2012 and "DOCUMENTED" from the Lily Bee stamp set and then stitched over the entire card. Journaling: I opted to use a quote instead of journaling on the front. I added a journaled note on the back to let her know what I think about the little lady she is becoming. Heather Leopard <---YOU ARE HERE and halfway through the hop! Nicole Nowosad, Danielle Flanders and Anna-Maria Wolniak are also a part of this amazing team but are not participating in the hop today. 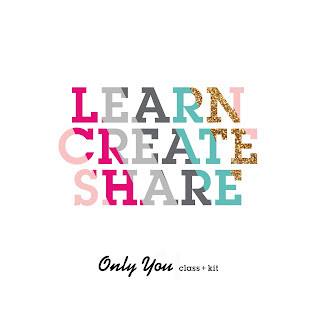 Since this week's theme was all about mixing and matching the 3 new collections, Lily Bee will be giving away a variety pack of 12x12" papers from all three lines for one lucky winner who comments on each designer's blog AND on the Lily Bee blog post. To be eligible for the prize on the Lily Bee blog, you are asked to comment on everyone's blog posts. If you enjoy what you see on my blog, I'd love to welcome you as my newest follower! Thanks for stopping by today. Continue the blog hop by visiting Deanna Misner now! Loving the colours on this! Gorgeous layout!! Wonderful colours and pretty photos! Love those paperflowers! Absolutely GORGEOUS Heather!! I loveeeeeeee the colors, the photos and loving the fence along the bottom!! So beautiful and so true! Love your title work! All the pictures are looking great thanks for sharing and just keep up the good work. Yellow and gray is quickly becoming one of my favorite color combos! Going to have to add this collection to my wish list! Beautiful layout! Heather! Your page is just BEAUTIFUL--LOVE that yellow! Oh, Heather! This is STUNNING!! What a talent you are! What a fantastic addition you are to our team! So happy you are on board! Beautiful work Heather!!! Absolutely LOVE the sunflowers on here.. so many beautiful touches! I love the color to this layout Heather! Gorgeous page and pics. Love that YELLOW! Very pretty layout...love the colors! Stunning, thanks for sharing today!! I'll be checking out the other Lily Bee gals today too! What a beautiful page! Love it!! This is really pretty! Love the photos!! What a sweet layout! Love the photos and the title, great first post for you! loving all the new Lily Bee lines and your photos are stunning! Love the colors and the sun flower! Beautiful marriage of all 3 collections! How absolutely precious is she! What a great set of pictures. Lovely lay-out. Thank you for the inspiration! Love the colors and patterns you've combined (I'm especially a sucker for the grey dot paper and the polka dot green grass!) TFS! This is beautiful! I love how you blended the paper lines! Love the yellow you used so well - gorgeous! Such a pretty layout. Love all the yellow. What a pretty pretty layout! Love your color choices. Perfect title. Love your wavy border cuts. Great layout. You have a great imagination and come up with the neatest pages. Totally awesome! I love now you have used the colors in these collections. And your daughter is precious! Beautiful colours on this layout. Love the pictures too! Perfect colors for for sunflower photos. Beautiful layout with the sunflowers! What a great layout! Love the stitched and layered borders. I just can't get over how gorgeous these colors are and how well you used them! I love it! wonderful combination of patterns & colors, love your page! stunning - love the framing! congratulations! This page is so pretty! 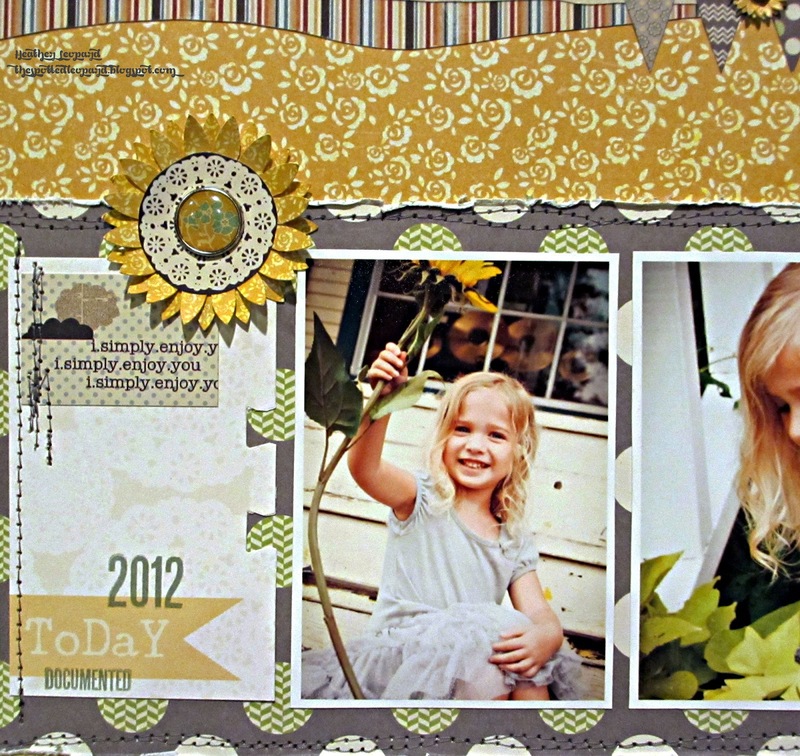 Love the sunflowers, and you've really highlighted these photos of your pretty daughter too. Hermoso los detalles de las flores!!! Very cool layout! Love the flowers! Such a sweet page, Heather!! Love the Yellow in the background, the cute picket fence, and the way you did your title!! Congrats on your first post for the Lily Bee Design Team! It's a great one of your darling daughter. Can that she will bloom forever. Your color choices of these fabulous three collections are very cheery and the sunflowers embellish it nicely. The fence along the bottom and stitching are great details, Heather. Gorgeous layout of your beautiful daughter! A beautiful layout for a beautiful girl! I love the borders on the top and bottom, especially the little picket fence. I my goodness I live the saying on your page...I have a 7 yr. old daughter & I think this is so true! Greta work! Gorgeous LO! Love the colors and your choice of papers. I love how you did the borders and added the fence at the bottom. LOVE your title! Gorgeous layout! Lovely layout--I like the sweet photos, the fence and all the flowers. Lovely layout! I really like the sunflowers sprinkled on it. Absolutely beautiful layout! I love it! love the wavy lines of color at the top and that flower is so pretty!!! loving that bright yellow...this is fab! This is beautiful!!! I love the colors to match that beautiful picture, and that fence with the flower along the bottom! Love the colors you used and that picket fence is just adorable. Love the colors. I think Persnickety is my favorite. Thanks for sharing. Love the way you mixed the patterns! Pretty layout! Yellow is my favorite color to work with. Love the layout. omg the flowers! love it! awesome layout!